Alexander has been contributing for THS for over a year! While he attained a major in communications at SFU, he also recieved a minor in Psychology. Despite those accomplishments, Alex has also never had a full cup of coffee (crazy right?!). Alex is a lifelong sports fan and will defend his Seattle Seahawks to the death, especially if faced against a 49er fan. While Alex's long-term goal is to become a marriage counsellor, he also has a strong passion towards writing that he looks forward to exploring. With the holidays and Valentine’s Day officially behind us, you may find yourself with a shiny new ring on your finger. But while the idea of getting married is exciting in theory, there are also plenty of areas that can turn your dream wedding into a nightmare. That is where budget-friendly planning comes into play! While it might seem daunting at first, it is extremely easy to plan the wedding of your dreams to set up for the next stage of your life without burning a hole in your wallet. When you start planning a wedding, you might quickly find yourself overwhelmed with the sheer number of decisions to make. But before you really start making decisions, you and your partner need to sit down and discuss where priorities fall. You may find yourself a lot more willing to pay that extra bit required to have the photographs and video of your dreams if you know that is that is the area that matters the most to you and your partner. 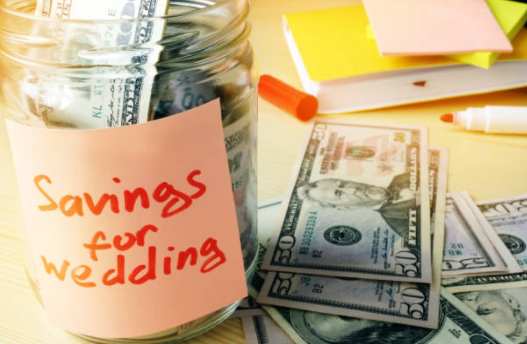 If you have different priorities, it can also be a wonderful opportunity to discuss openly where you are coming from and what your ideal wedding budget would look like. This can include things such as how many people to invite, the price tag you want to put on the dress, and the physical location of the wedding. It is possible that you have always planned in your mind to get married in the spring or summertime. But when looking at your budget, don’t be afraid to reconsider when your ideal day is. You may be shocked at the thousands of dollars you can save by switching to an “off-season” date or day of the week. While this may make it harder for some of your guests to come, a smaller guest list will also reduce the size of your budget significantly. 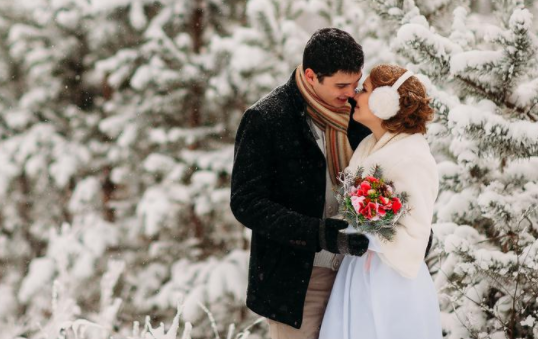 The time of the year may not have been what you always envisioned, but the money saved from compromising in this area can help you bring many more of your dream wedding ideas to life. What areas can you diy? You aren’t going to be able to spend much time online before you start getting bombarded with tips on how to turn elements of your wedding into home crafts. Websites like The Knot pride themselves on helping engaged couples through different areas that they can take into their own hands. If you rely purely on external help certain aspects of your wedding that may seem small such as centerpieces for tables can end up costing thousands of dollars if you’re having a big wedding. Your family and friends can also be a huge source of help. Just make sure that you and your partner are present for when these activities are getting put together. The last thing you want is your bridal and groom party to feel like unhired help. There is so much planning that goes into pulling off a wedding that it is possible one of the most important and fun aspects, the honeymoon, gets put by the wayside. If you are a couple that has been cohabitating for a significant period of time and doesn’t require household items typically found on a registry, look into honeymoon registries. Sites such as HoneyFund allow guests to help pitch in for a potential honeymoon that can be anywhere in the world. This may take the stress off and continue to give you something to look forward to. As well as opening up your potential budget to make other areas of your wedding come to life. Especially because your idea of a dream honeymoon may end up costing more than your wedding itself! One of the most damaging aspects you can have as an adult is an inability to look at your finances. It might not always be the easiest thing to accept that you need to make cuts, but it’s important to always to stay realistic with what you can pull off and working with that. If you’re not being aware of your spending, you won’t have a budget to go off to help you when things get difficult. A wedding that leaves a couple in debt for their marriage together is one that may cause more stress than joy. While some families may also offer help with expenses, that’s something that should never be seen at as a guarantee. And in those instances where you may need or accept external help, being able to track and show your family your budget should give them a great deal of confidence that you’re being responsible. What are some tips you have for creating your dream wedding? Share with us in the comments below.